June 1, 2016 – Breathtaking images of Pluto and the planets are getting a stamp of approval from the U.S. Postal Service, which unveiled striking new Forever stamps at the World Stamp Show NY-2016 on Tuesday. Joining Stofan in delivering remarks were NASA’s Director of Planetary Science Jim Green, New Horizons’ Principal Investigator Alan Stern of the Southwest Research Institute (SwRI) in Boulder, Colorado, and Norman Kuring, oceanographer at the Goddard Space Flight Center in Greenbelt, Maryland—creator of the iconic “Blue Marble” image of Earth. 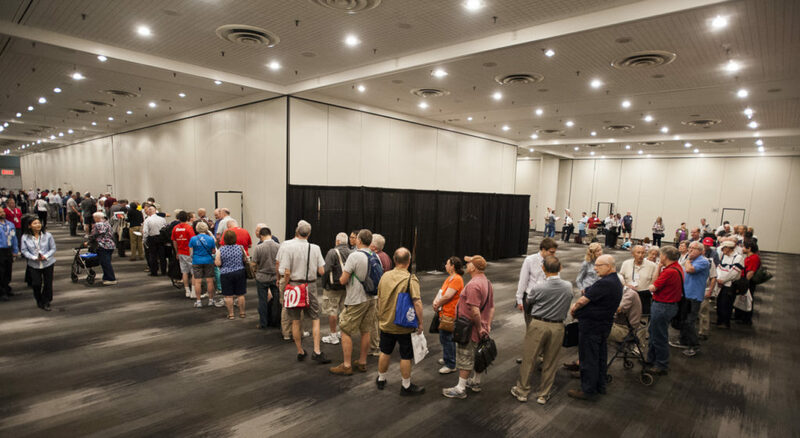 The 45-minute ceremony was followed by an autograph session, in which speakers and VIPs signed first day of issue programs for hundreds of stamp enthusiasts—the line snaking through the hallways of the Javits Center in New York City. 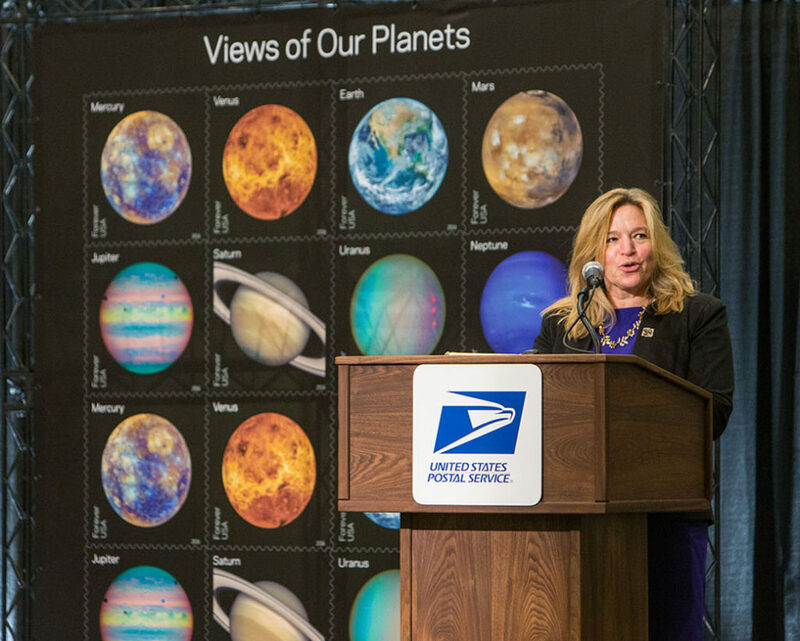 The planetary stamps are now being sold at most U.S. post offices. The Pluto—Explored! Forever stamps are available online or by calling 800-782-6724. 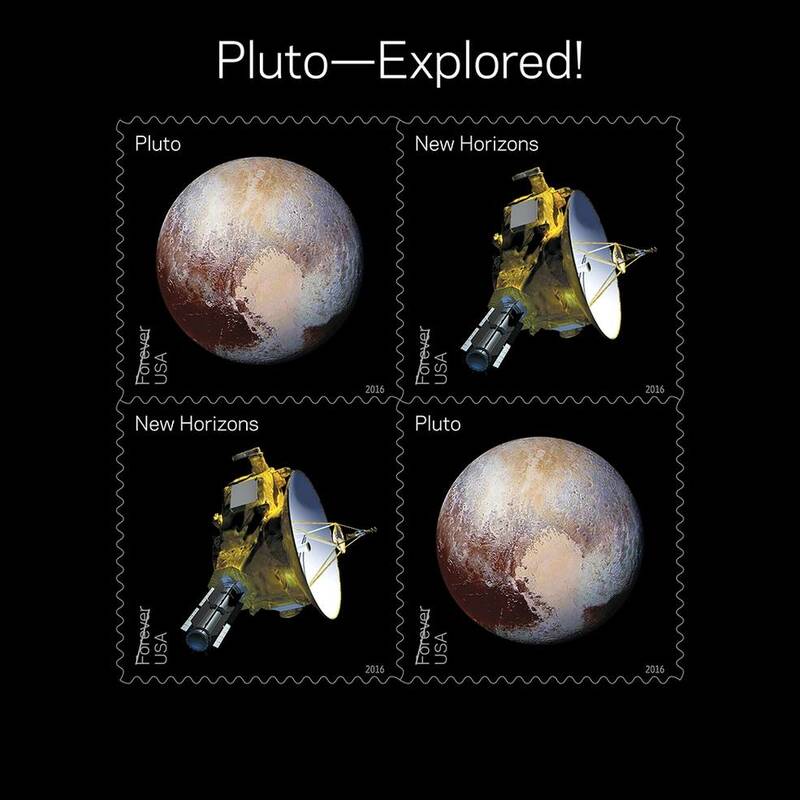 The color image of Pluto that appears on the stamp was assembled by Alex Parker during the New Horizons’ Pluto flyby in July 2015. Parker is a planetary astronomer working at SwRI in Boulder, Colorado.